This past weekend we took a trip to the New Forest. It is such a beautiful place to spend lazy days and get up close and personal with nature. The weather was on our side and was amazing, this all added up to be the perfect couple of days. 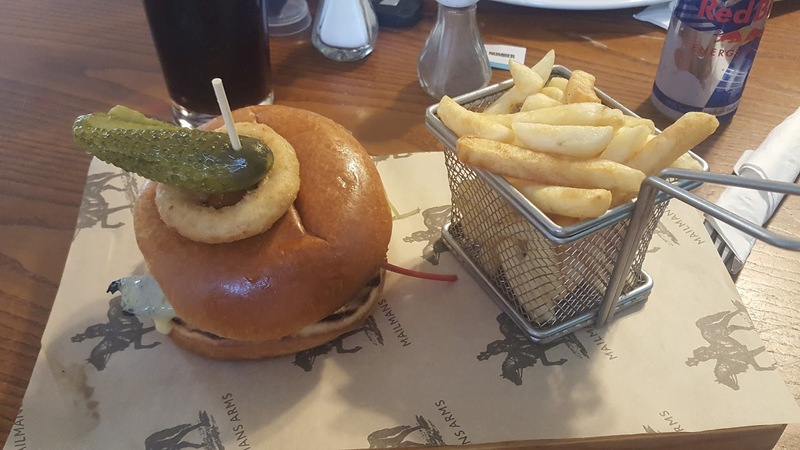 On our first day in the area we decided to grab a nice meal in the nearby pub The Vine Inn! I love exploring different eateries when in new areas and a good old English pub definitely is a must! We were so hungry after our long journey (unfortunately we got stuck in a lot of traffic) that we couldn't wait for our plates to hit the table. After our stomachs were satisfied, we had our evening planned with bowling, ping pong and pool! I lost out on all games even though my competitive streak was screaming. Nothing could beat such an amazing evening. Great way to unwind after a week at work. The next morning we were up early and off to explore the forest. 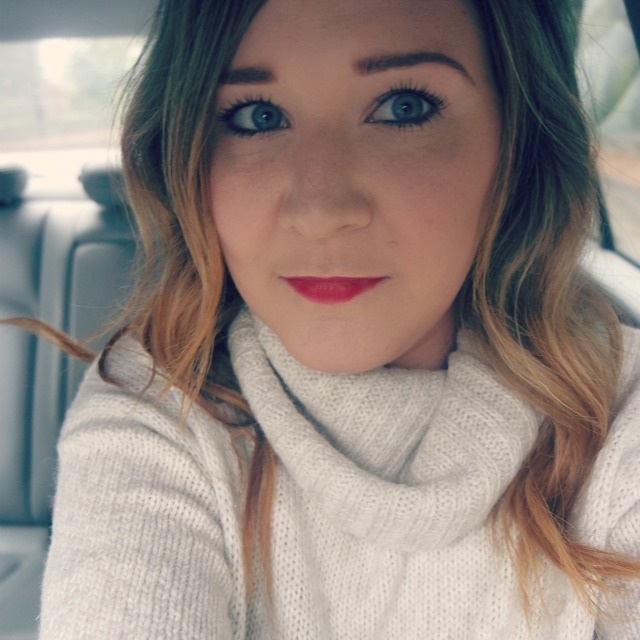 We headed to Lyndhurst which is the capital of the New Forest! This is such a beautiful village with a cute high street full of amazing little stores. 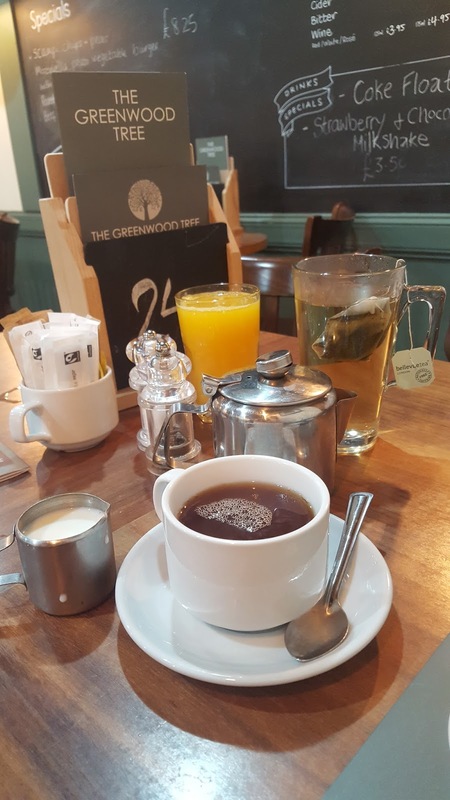 We stopped at a beautiful cafe called The Greenwood Tree and were treated to a delicious fry up, fresh coffee and orange juice. This started our day off right and provided us with the energy we needed for our hike through the forest. 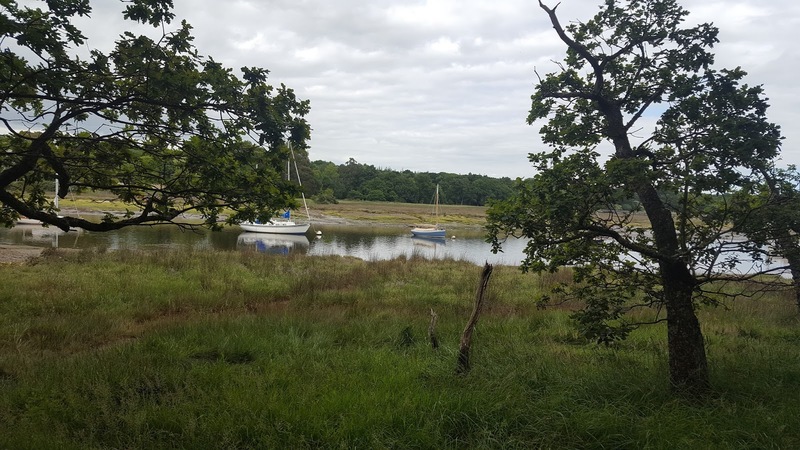 We then headed to Beaulieu to book our activities for the next day and we decided to head out for a hike from here to Bucklers Hard which was a shipbuilding village. This is an amazing place to visit and is right on the banks of the River Beaulieu. I love walking through the forest hearing birds flying around us and the calmness of the trees. Especially when a typical week for me is the hectic lifestyle of living and working in London. 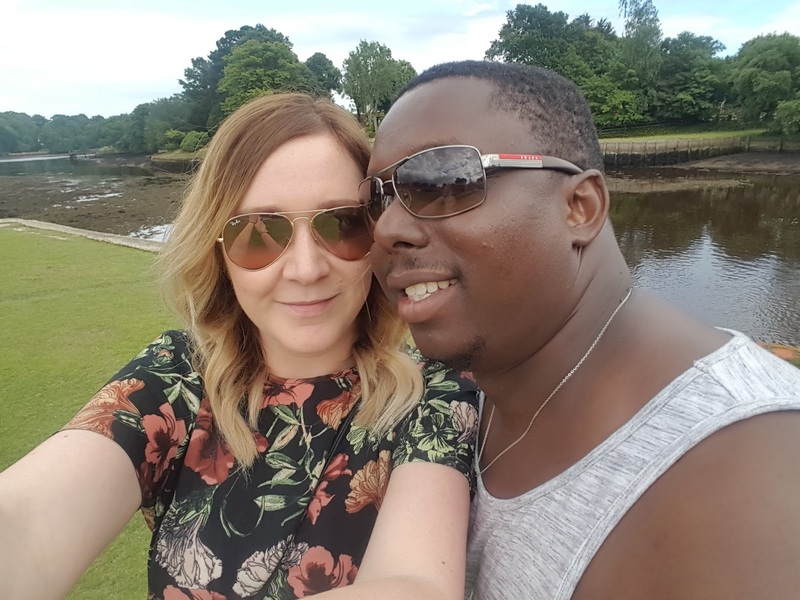 Once we got to Bucklers Hard we stopped off and grabbed an ice cream by the river (mint choc chip of course) and sat down and reflected on our day. I love to take the time and really get lost in thoughts when out and about in the peaceful forest. After our hike back we decided to grab a takeaway and head back to or hotel to have a movie night in our room. So glad to get an early night as Sunday was crazy full of activities. We went and picked up our hire bikes and decided on a short cycle ride through the forest which took about 3 hours. 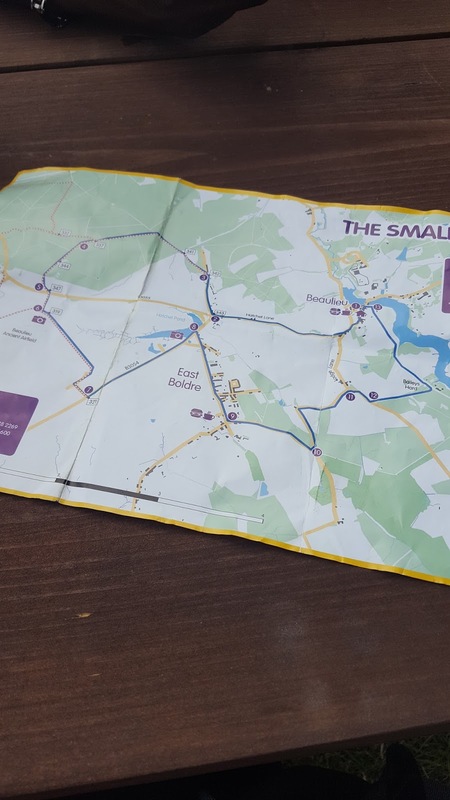 It was so fun to share this experience with Jeff and we had such a laugh as we explored the cycle route (stopping off at a pub for a much needed pint! The Turfcutters Arms is a pub you should pop in on your travels around the forest). The afternoon brought kayaking on the river Beaulieu which is simply so stunning there are not enough words to describe how it feels to be so close to nature whilst floating on the river. Once we had the technique down we went against the current and made our way up the river to explore the snails, jellyfish, fish and birds all along our route. If you love to explore nature this to me is a must do activity if you wish to visit the New Forest. I cannot recommend this enough along with New Forest Activities. You can book any activities with them direct on their website or pop in to the shop as we did which is in Beaulieu. Our instructor for the kayaking was so informative and taught us so much about the river we took so much away with us that it really made our experience even more special. We ended our Sunday with some good pub grub back in Lyndhurst at The Mailmans Arms and then took our road trip back to the madness of London. I love escaping from the norm as often as I can and travelling is so important to me as well as inspiring. I am always quick to jump online to book a trip abroad and I forget how beautiful the UK is. The New Forest is somewhere I will definitely be visiting often as I love everything this area has to offer. The locals are so friendly and with the animals roaming free in parts of the forest it just makes for such a truly beautiful experience. Being so close to nature makes me stop and think how beautiful our world is and how sad I am for the things that are happening in this world of ours at the moment. I am so grateful to have the opportunity to travel and I encourage all of you to try and visit new places and really take it all in. Embrace the Nature!